HAFLINGER BREED HISTORY: Haflingers are a small breed of horse (not pony) that originated in the Tyrolian mountains of Austria. 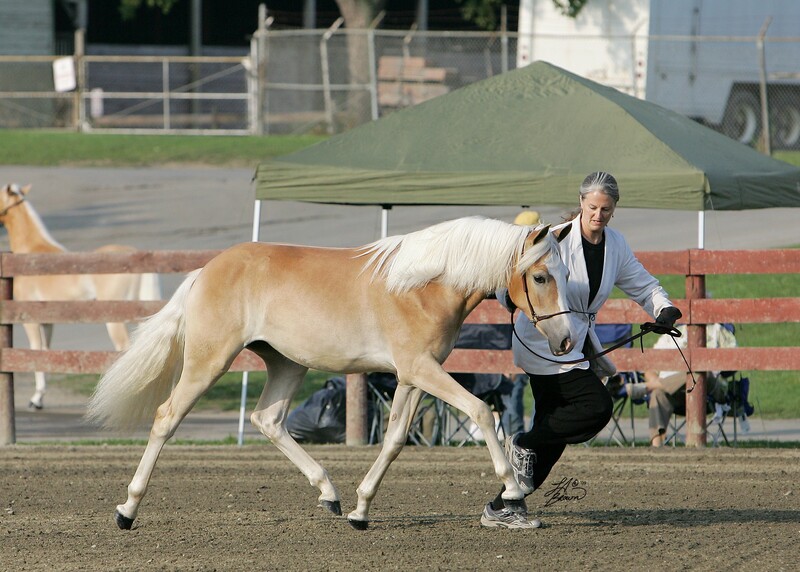 Contrary to some sources, the purebred Haflinger has no draft blood, but descends from a half-Arabian stallion and a refined Tyrolean mountain mare that resembled a small Warmblood. Their calm, gentle temperament, beautiful coloring, athleticism, and "easy-keeper" quality make them a great horse for people of all ages and disciplines. 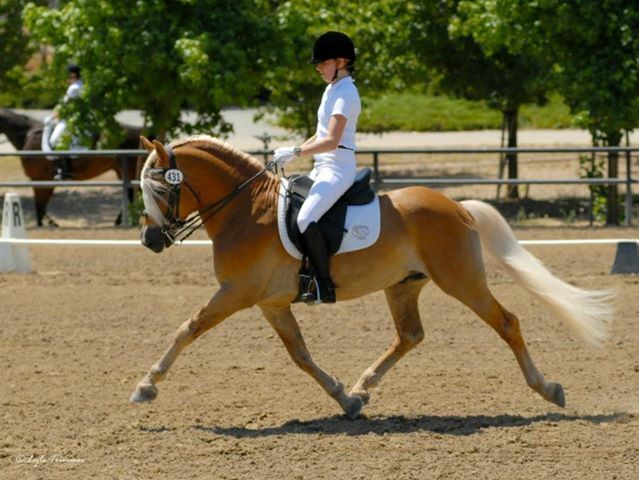 These horses excel in all sport horse disciplines throughout the United States, Austria, Germany, Holland, and elsewhere in the world, including dressage and jumping, as well as in combined driving.To learn about the history of the Haflinger, click HERE, for more information. THe World Haflinger Federation (WHF) was reformed in 2013 and is now known as the Haflinger World Breeding and Sport Association (HWBSA). 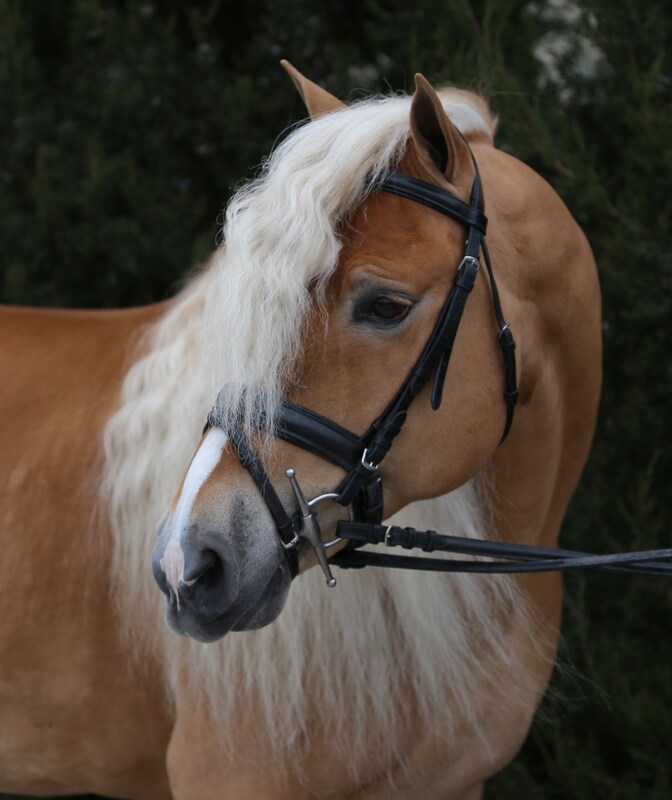 This entity sets the standards for Haflinger horses world-wide. 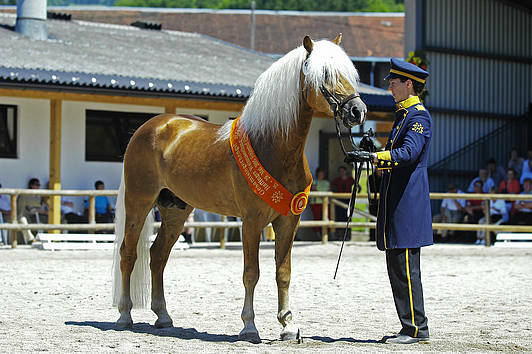 The epitome of the modern, sport horse Haflinger is liz Abendstern (pictured above and below), who stands at the Fohlenhoff in Ebbs, Austria, the center for Haflinger breeding in the world. Abendstern is a three-time World Champion Stallion (2010, 2005, 2000), two-time European Champion (2008, 2003), and multiple times Tyrolean dressage champion under saddle. Born in 1995, Abenstern stands 155cm (@15.1H). Contrary, to what some believe, Haflingers can also jump. The Austrian stallion, Nordtirol (pictured below), holds the world record for Haflingers for jumping at five and a half feet! Nordtirol stood at the Fohlenhoff in Ebbs, Austria for most of his life, and is now on lease in the United States for a period of time. He was born in 1994 and stands 146cm (@14.2H). (pictured at right)The World Champion stallion, Amadeus, sire of Abenstern and numerous other licensed stallions, holds the record for the highest score in the world ever received at inspection at 85 points. Born in 1989, Amadeus stood 152 cm (@15H), and is sadly, now deceased. 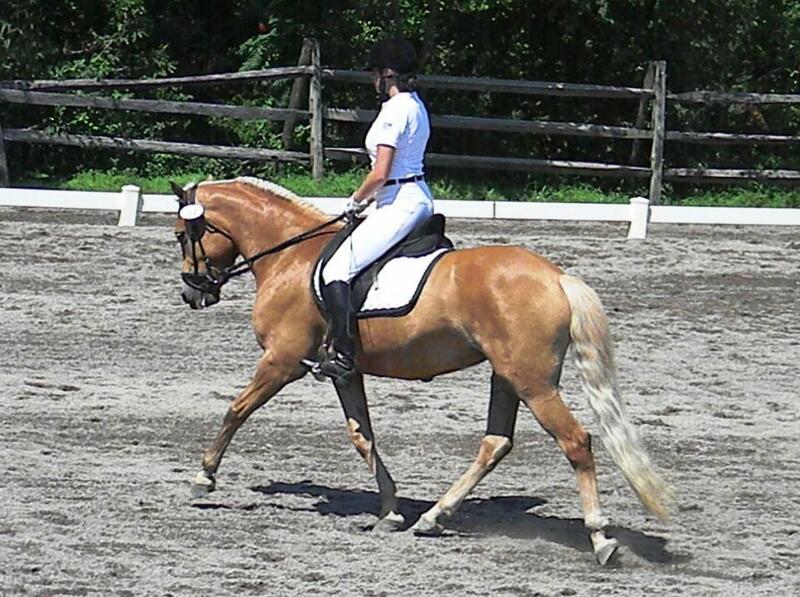 The stallion PrH Atlantic from Austria (pictured at right) is an outstanding mover and excelling in dressage. 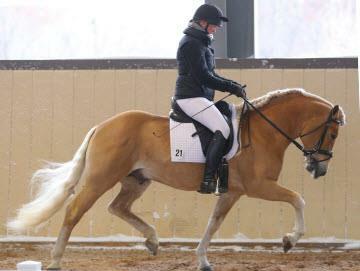 In the United States, Haflingers are also making their mark in the sport horse world. 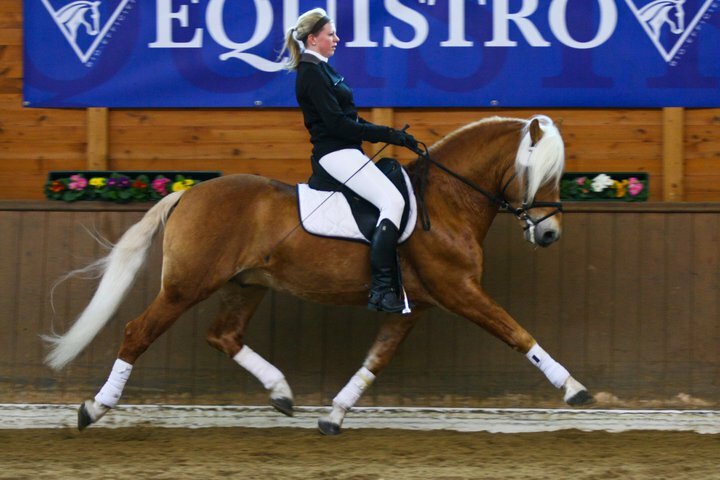 Maximotion WSF, a German imported Haflinger stallion formerly owned by Wingspann Farm, shown in 2013 winning at fourth level with a score of 67.5%! In 2013, our Austrian imported stallion, Stellar TVR, made history as the first Haflinger stallion to attend the North American Stallion Testing and be awarded his lifetime license with Weser Ems and RPSI! 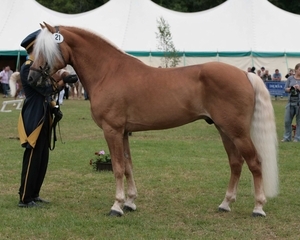 In 2011, Stellar was the first Haflinger stallion in North America to be inspected and approved for breeding by the Weser-Ems Verband (sport pony and small horse division of the German Oldenburg Verband), into their main Stud Book I, and westfalen N.A., another German sport horse registry, into Main Stud Book I, starting their Haflinger Stud Book in the United States! His foals presented to RPSI have all received Gold Premium (four) or high Silver Premium (four) status, with two Inspection Site Champion Foals--one over nine Warmblood and Sport Pony foals, with another Stellar foal coming in Reserve!--and his first breeding age daughter place in the main mare book mare at her RPSI inspection, and awarded high silver (77 points) at her AHR inspection! 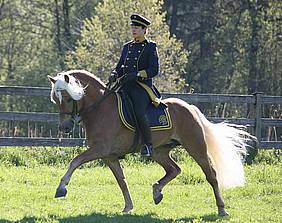 Stellar himself has a pedigree full of European and World Champions and Gold rated horses, and descends from some of the top sire and dam lines in the Haflinger breed. His dam is by the gold mare, Clara, who scored a nine on overall movement at her Austrian inspection. His damsire's dam, Dorlis, is one of the four strongest mare lines in Austria, and a producer of multiple World and European Champion sons and daughters. 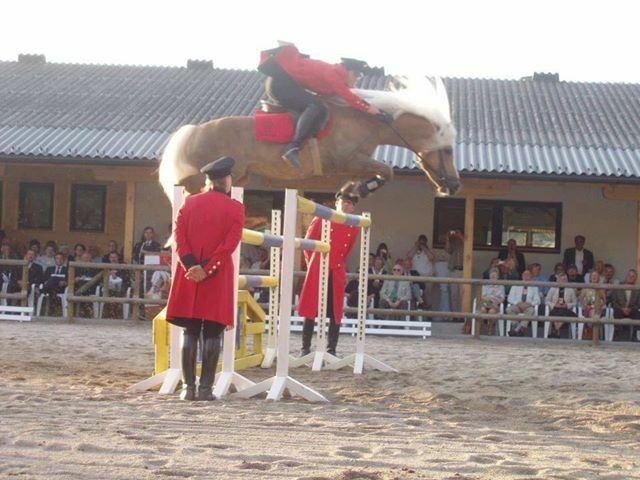 His sire, Straden, is the top St-line stallion in Austria, the sire of the 2010 World Reserve Champion Junior Stallion, and half brother to the 2010 World Reserve National Champion stallion! His damsire won his class and was champion of his keuring in Austria in 2000, and is full brother to three-time World Champion and two-time European Champion, Abendstern. Stellar stands 149cm (14.3H). Stellar's foals are in high demand with riders looking for their future performance horse, with most selling inutero, sometimes two years in advance. 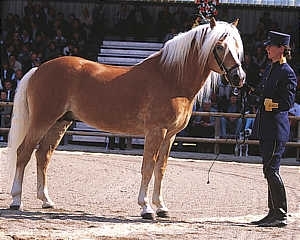 Many people have the misconception that breeders of sport horse type Haflingers are changing the breed, but the original Haflinger was a tall, versatile, athletic horse that resembled the sport horse Haflingers of today. 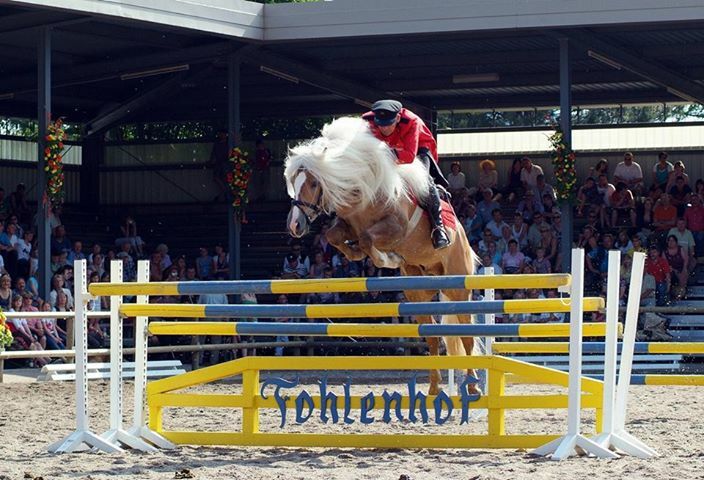 The World Haflinger Federation is the governing body of the Haflinger breed, and as such, sets the standard. Today, one can find several breeders throughout the United States who are now breeding the same high quality horses with the type and movement found in Austria and elsewhere in Europe. Some of these horses can be found at our farm, located in Central Michigan. 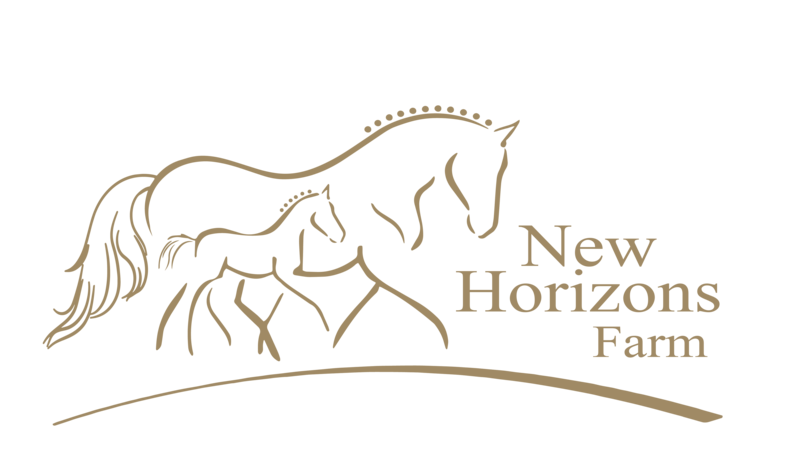 OUR BREEDING PROGRAM: Established in 2000 as Lilac Farms, New Horizon Farm LLC is a small, private Haflinger breeding farm located in central Michigan that is the product of a lifelong dream to breed, raise and train horses. We raise purebred, registered modern, refined, athletic Haflingers for sport and pleasure that descend from the strongest Austrian, German and Dutch bloodlines in the Haflinger breed. Our foals are born on the farm and bred by us, handled daily from birth, shown extensively, and receive age-appropriate training using natural horsemanship techniques. This includes round pen work, as well as ground driving and long-lining, before they begin their driving and under saddle work at age three. As a result, our Haflingers are well-mannered, well-trained and extremely sociable, both with humans and horses. We invite you to inquire about our services, including: stud services, horses for sale, payment plans, and our significant discounts for foals purchased in utero. For more information on in-utero foal purchases, please click HERE. We also offer several breeding discounts and breeders' incentives to our clients. We are located in Laingsburg, Michigan, 30 minutes Northeast of Michigan State University. Please feel free to contact us via e-mail at newhorizonshaflingers@gmail.com or by phone (b) 517 410 8000. Credit card payments through PayPal are also accepted.